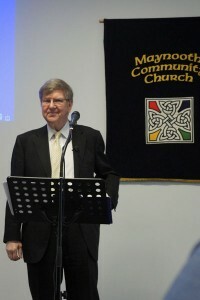 Trevor Morrow came to Lucan as the Presbyterian Minister in 1982. Born in 1948 he studied at Trinity College, Dublin and New College, Edinburgh, Scotland. 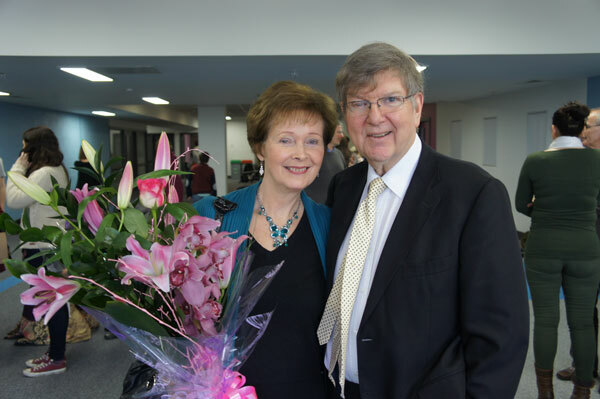 Following his time in Edinburgh he served as an Assistant Minister in Hamilton Road Presbyterian Church, Bangor, Co. Down and was ordained in 1978. He had a fine academic career and published a book on the Letter to the Galatians – Free to Love. He has lived out this title through a pastoral and preaching ministry that was such a benefit to many people. 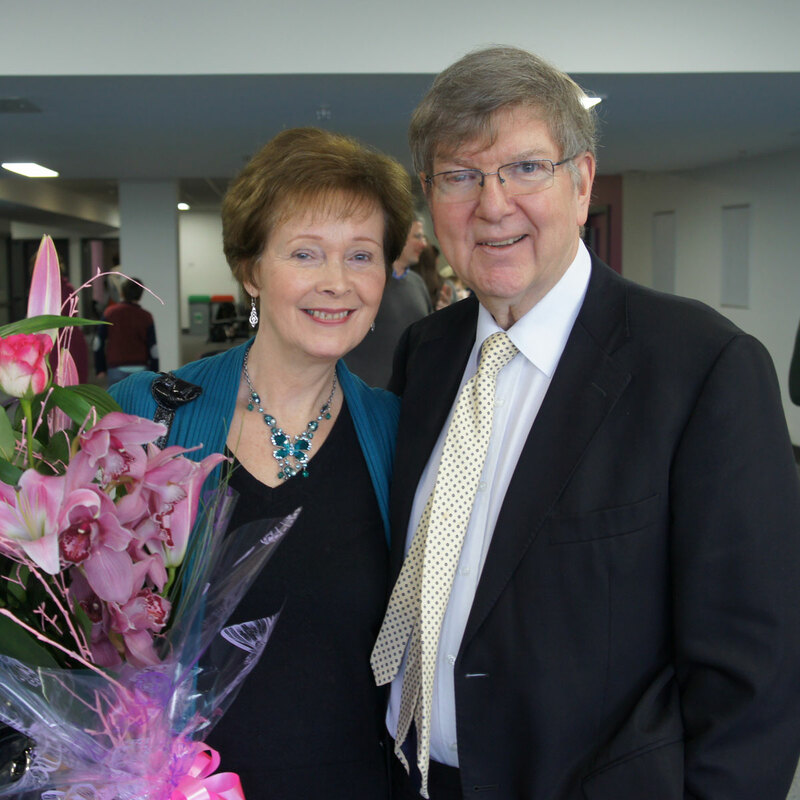 He served the wider ministry of the Presbyterian Church in Ireland in various roles. At one time he was the Co-Convenor of the Mission Committee of the General Assembly. The General Assembly is the governing body of the Presbyterian Church. In the year 2000 he was elected by the whole Presbyterian Church as Moderator of the Assembly. This position is held for one year and is probably the most prestigious office in the Presbyterian Church. When Trevor Morrow came to Lucan in 1982 he made a good impression from the start. His ministry of 32 years in Lucan was much appreciated by many outside the Presbyterian Church as well as within. 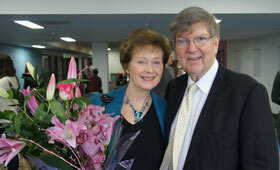 In terms of relationships with other Churches he was to the forefront in fostering good relations with everyone. About twenty years ago he proposed that the clergy would meet for lunch on a monthly basis. This was in response to the Week of Prayer for Christian Unity which is observed between 18th and 25th of January each year. People were saying that there needed to be something more frequent in order to cement relationships and give an opportunity to build trust and share news, problems and plans, as well as have fun. There is no better person to encourage fun. Trevor’s stories have sparked off many a story telling session accompanied by great laughter and lunch. 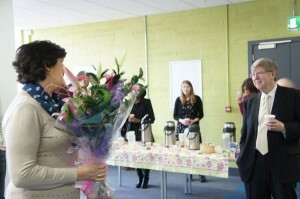 Trevor’s retirement marks the end of a fruitful period of ministry in Lucan and beyond. On behalf of the clergy and church-workers who have enjoyed his companionship over the years I take this opportunity to wish Trevor and Carys many happy and fulfilling years of new adventures. In sharing with us on Sunday Trevor asked that we pray for Carys and him, and for the transition period nowbeginning in LPC . He has asked us, in particular, to pray for continued unity in the congregation, for its growth throughout this next phase, for the development of strong and humble leaders, for Rev Alan Bole who will be looking after LPC over these next months and for the new minister yet to be identified who will lead LPC in it’s next chapter. We have so many happy memories to cherish about Trevor and Carys and we wish them all God’s blessings as they now move into their retirement years.